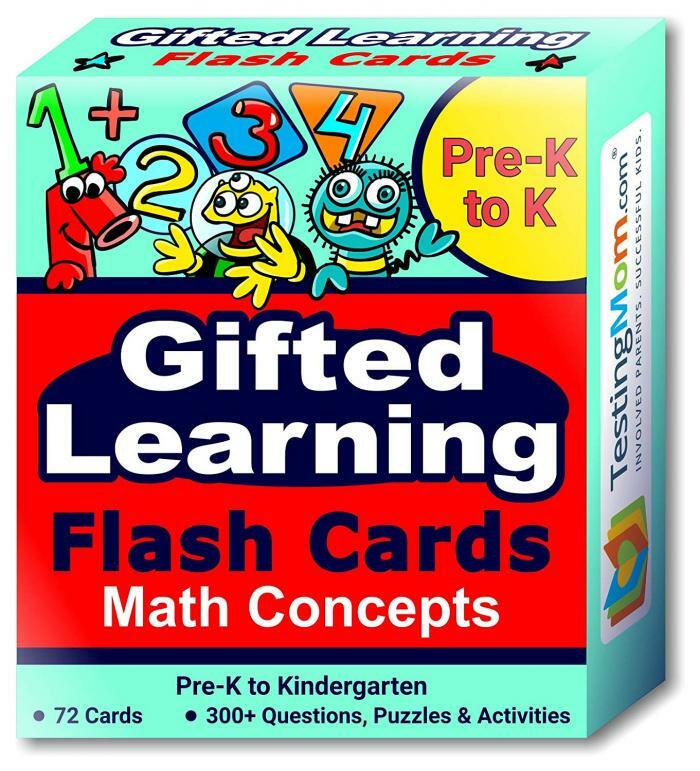 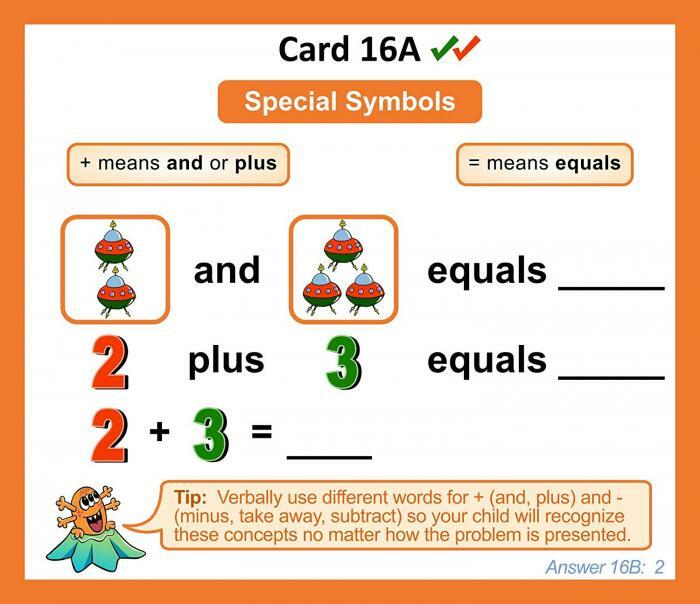 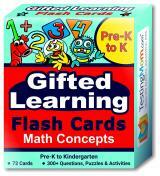 TestingMom.com Gifted Testing Flash Cards – Math Concepts include 72 cards covering over 300 questions, puzzles and learning activities to reinforce each concept through playful parent-child interaction. 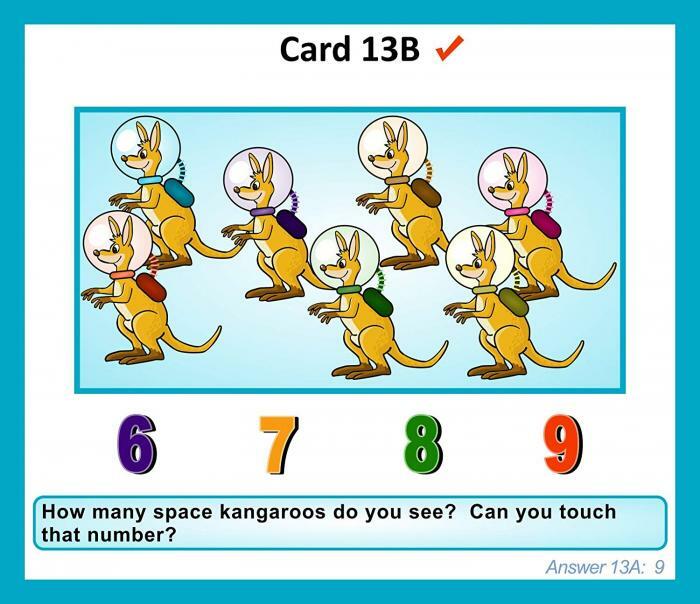 Teach children the math concepts they need for gifted and talented and achievement test preparation and answering questions on tests of quantitative reasoning such as the OLSAT®, CogAT®, WPPSI™, WISC®, Stanford-Binet, AABL®, ITBS®, Bracken™, SRT, KBIT™, TerraNova®, SAT®-10 and more! 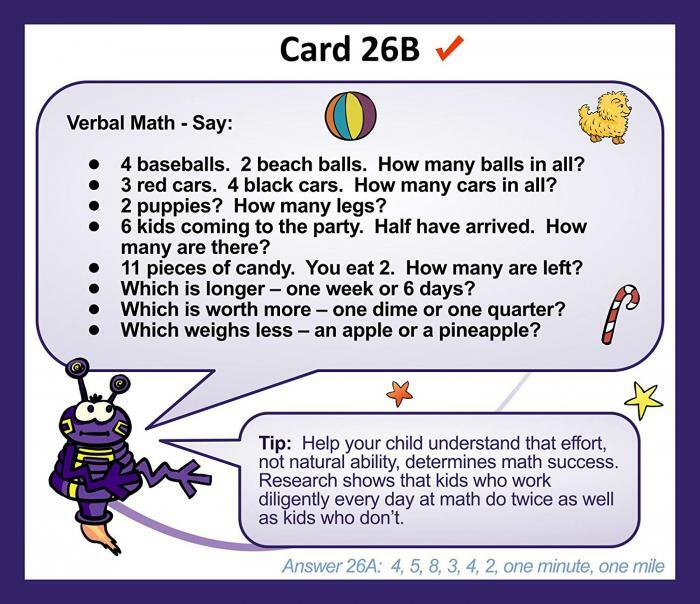 Not just for students applying to gifted programs – these math cards cover easy-to-hard quantitative concepts all children are expected to master for Pre-K to Kindergarten readiness and success. Not just for students applying to gifted programs – these math cards cover quantitative concepts all children are expected to master for Pre-K to Kindergarten readiness and success.